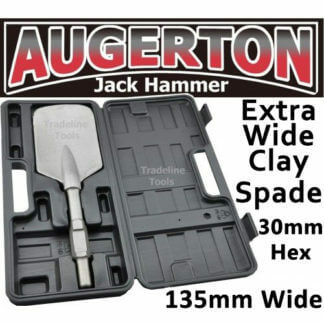 Home / Product / Jack Hammer Spades / JACK HAMMER DEEP TRENCH CLAY SPADE CHISEL. JACKHAMMER TREE PLANTER. 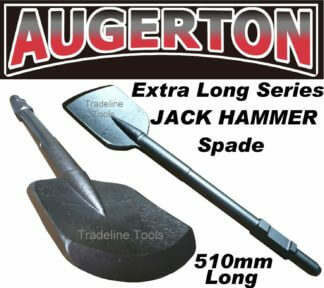 The LONGEST full length jack hammer spade available – over 635mm long! Spade length over 500mm, allowing a solid cut deep intro your trench without jamming. 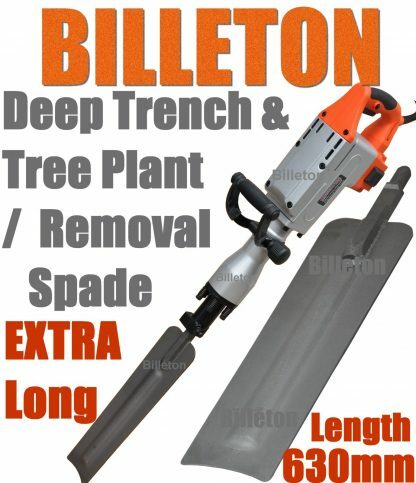 The extra length allows you to dig deep with maximum speed and efficency. 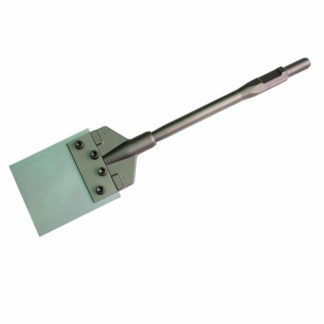 The unique long spade design makes it easy to lever the soil or clay forward whilst trench digging. 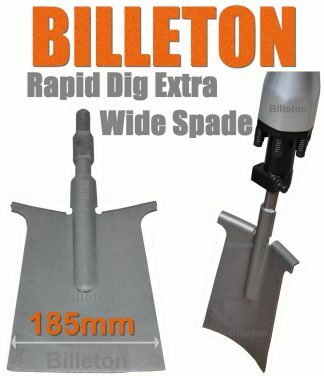 The spade shape and design has a strengthening brace moulded through the middle, allowing the spade to be manufactured with a sleek, high speed speed trench digger design as opposed to thick, bulky spades that can slow jack hammers down. As well as a powerful deep Trench digger spade, easily clearing 500mm footings and more, the spade also doubles as a tree planter spade. 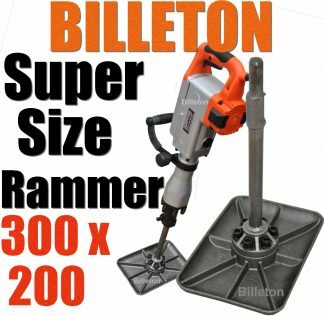 The 130mm width and 500mm long design allows the user to dig a square hole 130mm square or more to at least 600mm deep and plant new trees and shrubs with ease. No more back breaking shovel work digging holes way to big that new tree or shrub. Removing or Transplanting Trees? 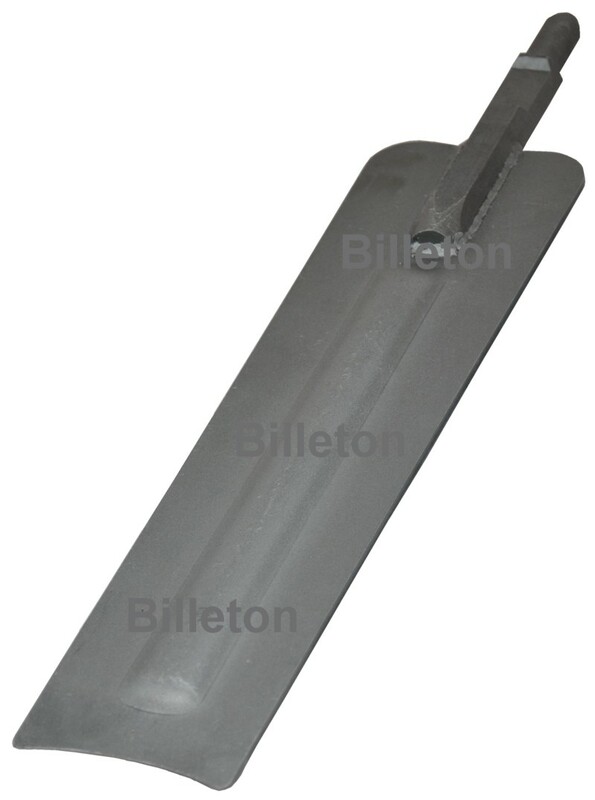 The new Billeton Trenching and Tree Removal spade is a tool you can’t do without. Simply dig around the tree trunk (leaving room for root width) all the way around the trunk until you meet up with your first cut. You’ll then be able to remove (or transplant) the tree/shrub, along with a square block of soil and in-tach roots giving the tree roots an undisturbed move to a new position. Much easier than using a crow bar and much less damage done to tree root systems. 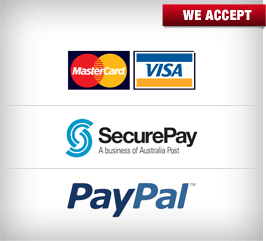 Will cut your job time down substantially. Or, if you are removing the tree or shrub for disposal, dig close to the trunk to break the root systems and remove the trunk with a 1/4 of the effort. 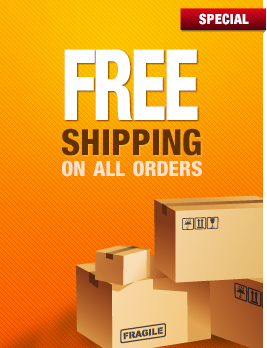 Compatible with Augerton, Hitachi, PH65, PH65SA. 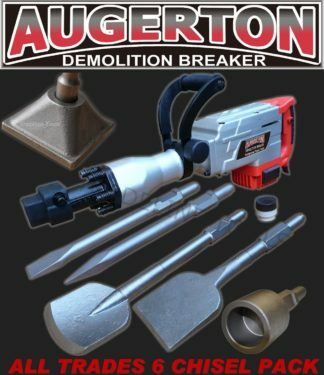 Ozito, TWM, Millers Falls, Z!G-DW-45, Baumr-AG Electric, Makita, Aderson and all 30mm Hex Jack Hammers. 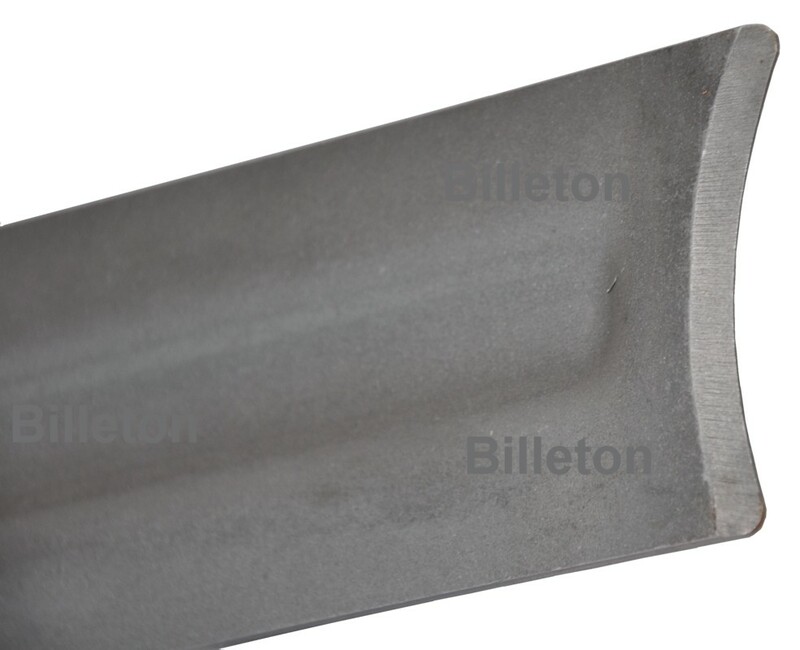 We’ve curved the blade for extra strength allowing a thinner, sleek design to allow a higher dig rate. 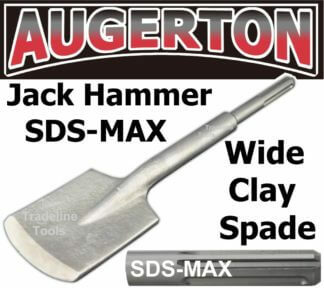 Digs up to 80% faster than conventional jack hammer spades.